We’re bringing the world’s BIGGEST low price celebration to you – for ONE DAY ONLY! Black Friday is a worldwide low price celebration that marks the beginning of the festive shopping season. So, this is the perfect opportunity to catch early savings on all the essentials you need before the festive rush. As Africa’s biggest retailer and favourite one-stop shopping destination, you will find the biggest Black Friday deals at Shoprite. Don’t miss out! We’re joining the worldwide Black Friday celebrations with lower prices than ever – for one day only on 23 November 2018! 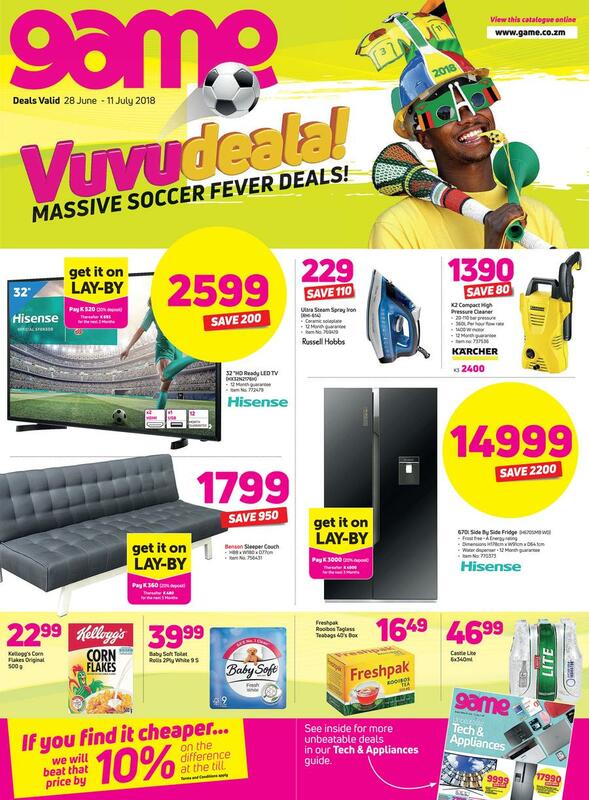 All deals are valid while stocks last – so hurry to your nearest Shoprite to save even more! It’s Wacky Wednesday. Drop in to Steers and get two Prince burgers for the price of one! The Big Red Trolley Giveaway is BACK! That’s right, we’re giving away a trolley full of groceries to 100 lucky WINNERS! It’s never been easier – enter while you shop for daily deals from 21 May until 8 July – and make sure you add our participating competition products to your grocery list for a chance to WIN BIG! Find your nearest store and enter today. Buy One Get One Free Wednesday! Terrific Chooseday at Pizza Hut! Everyday is Terrific Chooseday at Pizza Hut! Buy a medium pizza for K60 and get one free any day of the week! 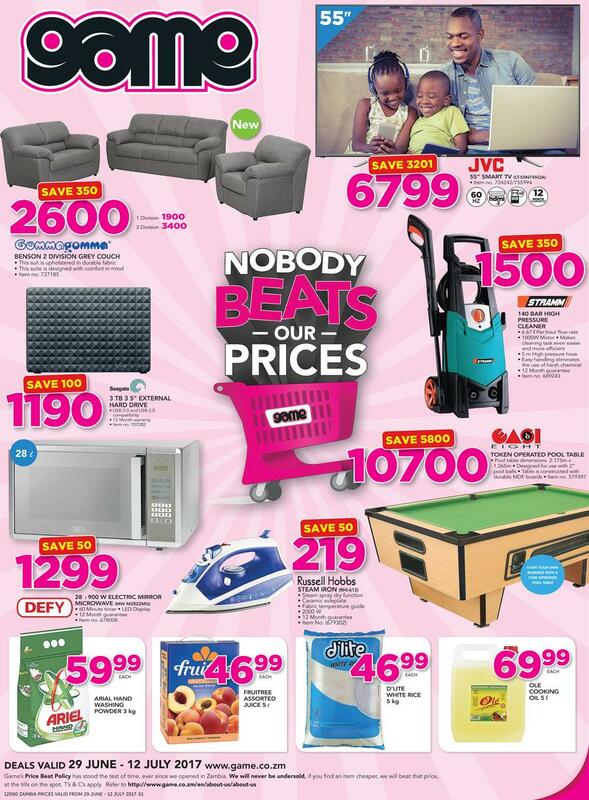 Save BIG this Month END with the CHOPPIES promotions. Visit our stores and get Low prices. Check out these amazing deals from Game Zambia! Order a meal with Ubuntu Meal Deliveries & get one free mountain dew with your meal.